With Dutch Formula give your plants exactly what they need at the different stages of their growth - economically and effectively. The three concentrated nutrients are the perfect 'power food' for good harvests and a good quality. The combination of these three components provides your plants with all the necessary elements. On additional fertilizer rate can be omitted. If you follow the clear instructions on the label, you can achieve excellent results. You will quickly get a feel for what combination and concentration (ec / ppm) of the three part Dutch Formula is ideal for you. 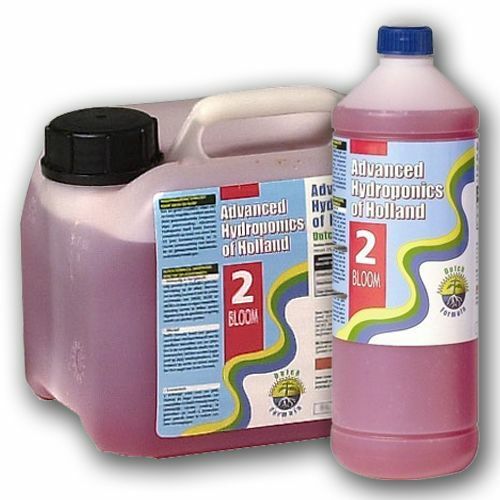 Dutch Formula is not only suitable for hydroponics but can be used for all substrates. All gardeners, including gardeners who cultivate on coco and earth increase crop yield. Gardeners who cultivate on earth should reduce the concentration by about half. During the first two phases of the plant life all three components (Grow, Bloom and Micro) are used together. The composition varies, of course, depending on the phase. From the 1st generative phase (about 2 weeks after changing the light period), you need only the components Bloom and Micro.